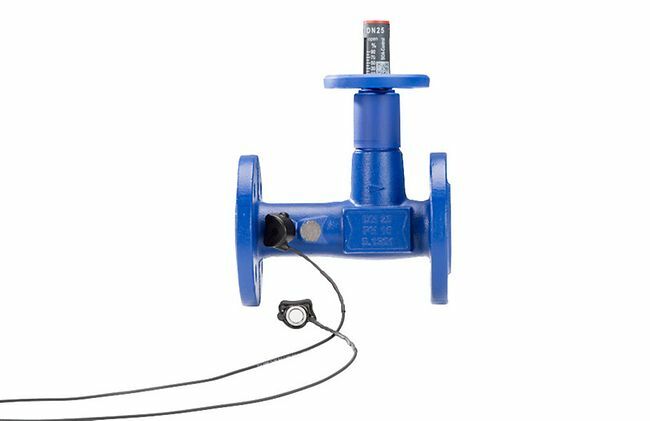 Drawing on decades of experience and comprehensive expertise, KSB consistently develops new innovative solutions: The versatile BOA-Control measurement and balancing valve is a true novelty in the world of valves. The BOA-Control measurement and balancing valve offers entirely new opportunities for direct, straightforward measurement of the flow rate. Ultrasound waves are used to determine the flow rate by transit time difference measurement. An additional temperature sensor integrated in the balancing valve measures the exact fluid temperature. With the corresponding measurement computers, the values measured by the measurement and balancing valve can be saved in the case of mobile measurements or transmitted for permanent measurements. BOA-Control is the measurement and balancing valve to which ultrasonic sensors can be connected. The sensors for the measurement are not permanently fastened to the valve; they are linked to the valve with an innovative magnetic connector. As the sensors can be mounted and removed as required, this design allows mobile measurements to be performed on any number of valves in combination with a BOATRONIC-MS measuring computer. 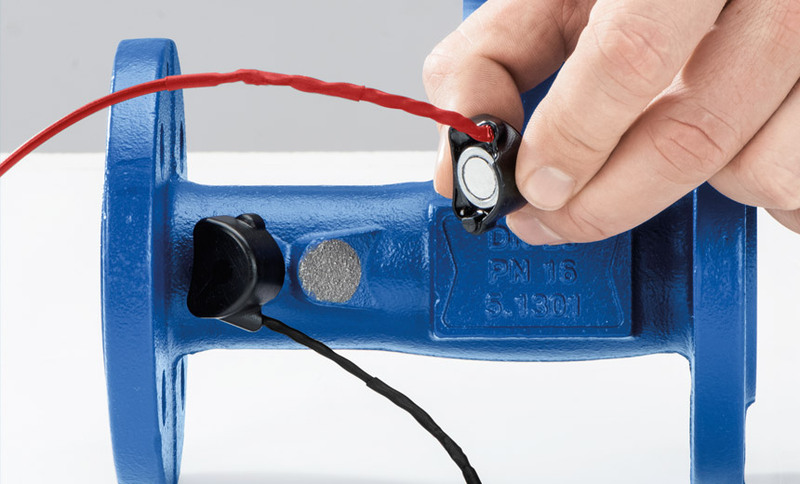 BOA-Control: The sensors attach to the measurement contacts at the valve via an innovative magnetic connector. At the BOA-Control IMS measurement and balancing valve the sensors are permanently glued to the BOA valve. This enables mobile as well as permanent measurement set-ups. With the BOATRONIC MS-420 measurement computer flow rate and temperature values can be continuously transmitted via a 4 - 20 mA signal. Ultrasound measurement without contact with the fluid handled prevents leakage and saves measuring time. Scaled position indicator facilitates pre-setting. Simple magnetic connection of measurement sensors reduces measuring time. Discover for yourself the reliable accuracy of the innovative BOA-Control measurement and balancing valve. BOA-Control: balancing valve ready to accommodate sensors. The sensors attach to the measurement contacts at the valve via an innovative magnetic connector.